Over the past couple weeks, I’ve talked about the importance of commercializing airport data to improve the travel experience and on-the-ground operations. For airports and corporations this is a new concept and exciting opportunity to be a leader in the digital frontier: to better serve their passengers, customers, or/and users. Plot pioneered the commercialization model and partnership approach which leads us to address the “How?” questions we receive from our airport partners and commercial clients. These questions stem from the strategic and commercial decisions Plot took as a technology startup two years ago to become a transformative force in the aviation industry. Speaking with airport executives about the traditional vendor-to-airport relationship and the perceived value from the technology they procured revealed that high associated costs, prolonged installations, and system flexibility were the most common pain points to address. This led Plot to develop our partnership model with airports. Our partnerships create a win-win scenario by taking a hardware agnostic approach to system deployment, setting expectations for data co-ownership and commercialization, and creating an environment conducive for sustained/long-term technology relevance. Why is this important for airports? 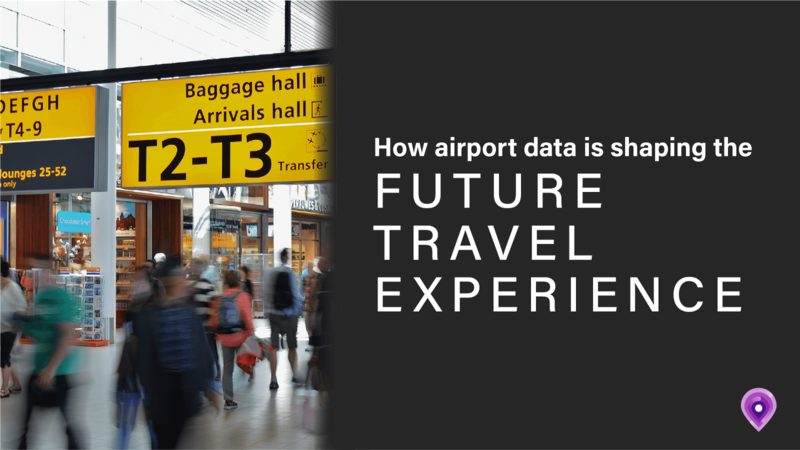 Airport data is valuable to a global market and they need to stop procuring technology and collecting data with a local mindset. Plot’s partnership approach makes exploring, developing, and maintaining commercial relationships that distribute data responsibly and on a global scale possible. A partnership approach with a technology company like Plot means that demand by third parties for airport data to support their customers (the airport’s passengers) and on-site operations can be met swiftly. In addition, any solution created for one airport can be replicated and deployed quickly to our network of partners assuming there is operational benefit and/or commercial opportunity. The concept of partnerships is not foreign to airports. P3’s (public-private partnerships) have proven successful in the past; however, taking this model and applying it to technology procurement is a novel approach that creates immediate added-value for airports. Not only does working with Plot mean the airport gets a zero-cost, revenue-generating technology platform, but that they can depend on shared expertise and resources of an ally with a common goal: making travel and transportation better for everyone. The opportunity for corporations to digitize, monetize, and streamline the traveler experience has arrived. Why is this important for airlines and the private sector? The traveler is a globetrotter and companies like Google, Uber, Facebook, American Airlines, and Marriott that interact with their users, guests, and passengers throughout their journey are global players. The company that wins on mobile wins in loyalty and revenue and ultimately these companies share a common goal with airports: to provide meaningful information on a consistent basis that fosters a more personalized and pleasurable travel experience. The passenger’s voice has grown stronger thanks to social media and other public channels where unsatisfied travelers can unleash their disdain for Company A, or relish in excellent customer service and added-value services provided by Company B. Corporations are feeling the pressure to address their customer’s evolving needs at the risk of losing them to competitors who have responded faster and created better experiences. Before Plot, no one had consistent access to airport data. Seamless travel was a fantasy until Plot bridged the commercial gap. The opportunity for corporations to digitize, monetize, and streamline the traveler experience has arrived. Over the next few weeks I’ll be diving deeper into a number of the “How?” topics for discussion to highlight the underlying foundation and benefits of airport partnership and what that means for commercial clients interested in using airport data to make the travel experience better for their users, guests, customers, and passengers. I look forward to continuing to share our journey with you! On transportation technology and innovation, written by the Plot team.